Doctor Who’s Twitter account has shared a cute animated holiday short telling the story of how the Doctor (voiced by Whittaker) helped save Christmas once again this year. Narrated by Bradley Walsh (Graham), the Twas The Night Before Christmas-style tale is all about Santa getting stuck in a jam after his sleigh breaks down. Who can he possibly call to save the day? The Doctor, of course! (2) HARD SF. James Davis Nicoll dares to tell us about “Five Works of Hard Science Fiction That Bypass the Gatekeepers” at Tor.com. and doing so with a verisimilitude that’s not just plot-enabling handwaving…. (3) MYTHCON 50. 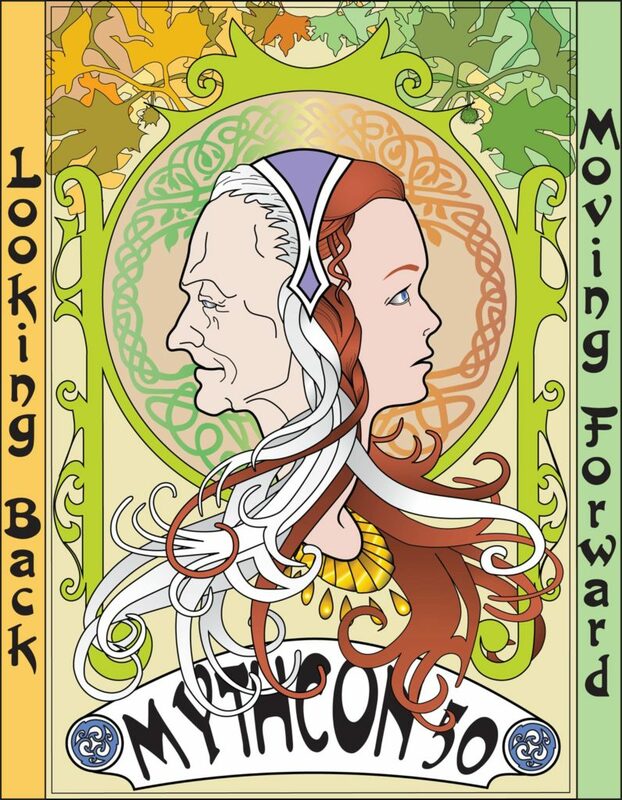 Introducing artist Sue Dawe’s logo for Mythcon 50, with the theme “Looking Back, Moving Forward.” The convention will take place August 2-5 in San Diego – register here. (5) CODE OF CONDUCT GUIDANCE. Valerie Aurora and Mary Gardiner have made available as a free download their book on Code of Conduct enforcement for those who put on conventions and conferences: “Free code of conduct enforcement book available now”. Valerie Aurora and Mary Gardiner were the lead authors of the Ada Initiative anti­-harassment policy, which is the basis of thousands of codes of conduct in use today. Valerie has more than 7 years of professional experience writing and implementing codes of conduct for software-related companies, venture capital firms, and non-profits. Jim Al-Khalili talks to astronomer Jocelyn Bell Burnell. Jocelyn Bell Burnell forged her own path through the male-dominated world of science – in the days when it was unusual enough for women to work, let alone make a discovery in astrophysics that was worthy of a Nobel Prize. As a 24-year old PhD student, Jocelyn spotted an anomaly on a graph buried within 100 feet of printed data from a radio telescope. Her curiosity about such a tiny detail led to one of the most important discoveries in 20th century astronomy – the discovery of pulsars – those dense cores of collapsed stars. It’s a discovery which changed the way we see the universe, making the existence of black holes suddenly seem much more likely and providing further proof to Einstein’s theory of gravity. The Stone Tape was a television play broadcast by the BBC in 1972. The Stone Tape begins with a man named Peter who is head of a research team for an electronics company. Like many of the characters in Beasts, the protagonist is not a pleasant person. Peter Brock, though likely very skilled at his job, is arrogant, self-absorbed, sexist, and condescending. Whereas someof the sexism and the bigoted comments may be a representation of the realities of the the business world (and TV) at the time, you are clearly meant not to like Peter Brock as a person which only amps up the unease surrounding the main plot…. (9) HOW FAR IS IT? Far out. Like, literally Far Freekin’ Out. A newly announced minor planet is the most distant known object in the Solar System (Phys.org: “Outer solar system experts find ‘far out there’ dwarf planet”). The body’s official name is 2018 VG18, but it’s nicknamed “Farout” and it’s current orbital distance is about 120 AUs. A team of astronomers has discovered the most-distant body ever observed in our Solar System. It is the first known Solar System object that has been detected at a distance that is more than 100 times farther than Earth is from the Sun. (10) COMING YOUR WAY. 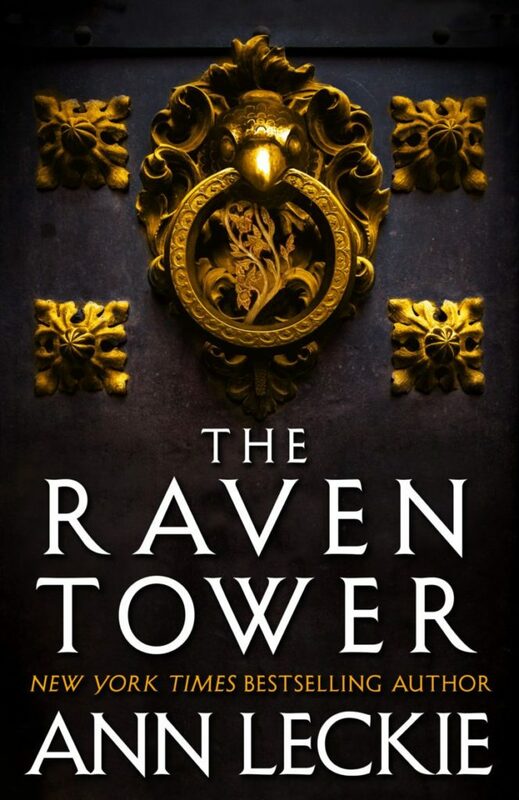 The Raven Tower, Ann Leckie’s new fantasy novel, arrives February 26, 2019. “My library’s already let me reserve it,” says Daniel Dern. (11) THE WISDOM OF P.L. TRAVERS. The Washington Post’s Jerry Griswold profiles Mary Poppins author P.L. Travers, whom he interviewed for the Paris Review, saying that Travers “was the wisest woman I’ve ever met,” a deep student of Zen, and the author of novels about Mary Poppins that are much darker than the movies. “Disney tried to erase ‘Mary Poppins’ creator P.L. Travers. She’s still more fascinating than fiction.”. …Travers was the wisest woman I’ve ever met. She was the second Western woman to study Zen in Kyoto, part of the inner circle of the famous mystic G.I. Gurdjieff and did yoga daily (an exotic practice in the 1970s). One afternoon in her Manhattan apartment, we had a conversation that would later appear in Paris Review. She spoke about the meanings of Humpty Dumpty, how her book “Friend Monkey” had been inspired by the Hindu myth of Hanuman, the Zen expression “summoned not created,” the sacredness of names in aboriginal cultures and a spiritual understanding of the parable of the Prodigal Son. And as for linking “this store of wisdom and our modern life,” she lead me step by step through parallels between the kidnapping of Patty Hearst and the myth of Persephone. It was one of the richest afternoons of my life. 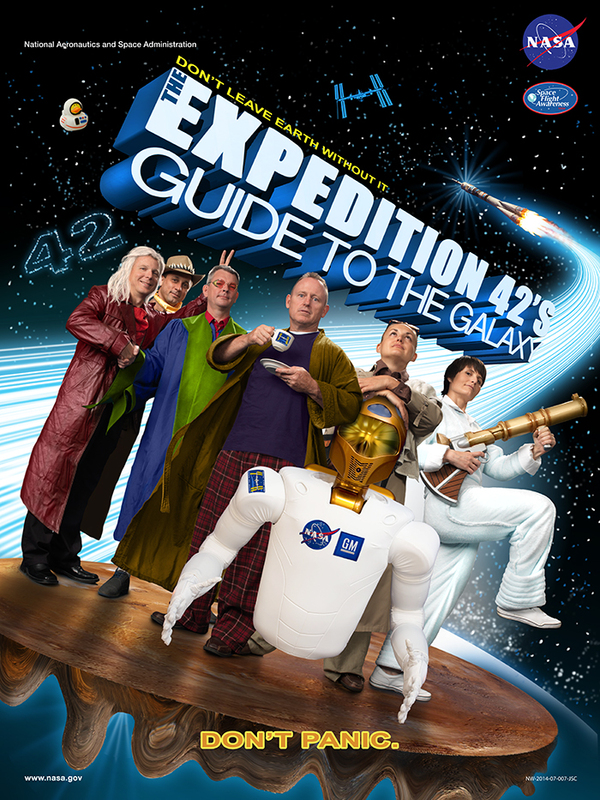 …However, when astronauts got bored of the standard group photos they decided to spice things up a bit. And what’s a better way to do that other than throwing in some pop culture references? Fair warning the results are quite cringy, making it hard to believe that these images are actually real. It is with a heavy heart that I must share the news that Emeka Walter Dinjos, a Nigerian writer of science fiction and fantasy whose novelette “SisiMumu” is featured in our first issue, passed away at the age of thirty-four on Wednesday, December 12. Walter was admitted to the hospital a little over aweek ago, on the eve of his birthday. In his last Facebook post he shared a photo of himself in a hospital bed, writing “I once swore I would never find myself in a place like this.” He was quick to point out, “It’s just fatigue.Will probably be out in a few days.” But unfortunately he succumbed to complications related to unmanaged diabetes. Walter is survived by his siblings and extended family, to whom I extend deepest condolences on behalf of everyone at Future SF and his many friends in the SF/F community…. December 18, 1957 — The Monolith Monsters hit theatres. December 18, 1968 — Ian Fleming’s Chitty Chitty Bang Bang flew into theaters. Born December 18, 1939 – Michael Moorcock, 79. Summing up the career of Moorcock isn’t possible so I won’t. His Elric of Melniboné series is just plain awesome and I’m quite fond of the Dorian Hawkmoon series of novels as well. Particular books that I’d like to note as enjoyable for me include The Metatemporal Detective collection, Mother London and The English Assassin: A Romance of Entropy. Born December 18, 1946 – Steven Spielberg, 72. Are we counting Jaws as genre? I believe we are per an earlier discussion here. If so, that’s his first such followed immediately by Close Encounters of the Third Kind. Between 1981 and 1984, he put out Raiders of the Lost Ark, E.T. the Extra-Terrestrial, Twilight Zone: The Movie and Indiana Jones and the Temple of Doom. Ok so the quality of the last film wasn’t great… He’d repeated that feat between ‘89 and ‘93 when he put out Indiana Jones and the Last Crusade and Hook which I both love followed by Jurassic Park which I don’t. The Lost World: Jurassic Park followed along a string of so-so films, A.I. Artificial Intelligence, Minority Report, War of the Worlds and one decided stinker, Indiana Jones and the Kingdom of the Crystal Skull. The BFG is simply wonderful. Haven’t seen Ready Player One so I’ll leave that up to y’all to opine on. Born December 18, 1953 – Jeff Kober,65. Actor who’s been in myriad genre series and films including V, The Twilight Zone, Alien Nation, the Poltergeist series,The X-Files series, Tank Girl as one of the kangaroos naturally, Supernatural, Star Trek: Voyager, Star Trek: Enterprise, Kindred: The Embraced and The Walking Dead. Born December 18, 1968 – Casper Van Dien, 49. Yes, Johnny Rico in that Starship Troopers movie. Not learning his lesson, he’d go on to film Starship Troopers 3: Marauder and the animated Starship Troopers: Traitor of Mars. Do not go read the descriptions of these films! He’d also star as Tarzan in Tarzan and the Lost City, show up as Brom Van Brunt In Sleepy Hollow, be Captain Abraham Van Helsing in Dracula 3000, James K. Polkin, and — oh really Casper — the Abraham Lincoln: Vampire Hunter Sequels short, Rumpelstiltskin in Avengers Grimm and Saber Raine In Star Raiders: The Adventures of Saber Raine. That’s a lot of really bad film. The unseen presence of one character has haunted The Good Place from the beginning, lingering like one of Bad Janet’s legendary farts since the very first moments of the very first episode: Doug Forcett. As we all know — at three seasons and 35 episodes in — the afterlife hinges on a cumulative point system, with good deeds adding to an individual’s point total and bad or selfish deeds subtracting. People with high enough point totals enter The Good Place, while those who don’t make the cut do the whole burn-for-eternity thing down in The Bad Place. Despite all the twists, developments, reveals, and red herrings of the uniquely sharp and wacky sitcom, one constant has remained: that only one mortal has figured out the system, and he did it while on a mushroom trip back in 1972. “Don’t Let the Good Life Pass You By” opens with the song of the same name by the Mamas and the Papas’ “Mama” Cass Elliott, itself a 70s artifact that portends something darker than its sunny melody suggests —that life is short, and if we’re not careful, we’ll screw it up. We watch as some as-yet-unnamed character tends to a series of mundane tasks, his face hidden from view. But there’s something familiar about that grizzled-blond shock of hair we see only from behind. It belongs to someone we know. Turns out that’s doubly true, as the head we’re looking at is that of legendary comedic actor Michael McKean in character as the aforementioned Forcett, now several decades older and committed to obtaining the requisite number of Good Place points. (16) MEMORIAL FOR A BOT. [Item by Mike Kennedy.] Mashable brings us word that, “A delivery robot caught on fire at UC Berkeley, students then set up a vigil.” The KiwiBot was one of a fleet of over 100. “A member of the community acted swiftly toextinguish the flames using a nearby fire extinguisher. Within moments ofthe incident occurring, it had already been contained,” the post read. Unsurprisingly, the fire was caught on both video and stills. Pics of the subsequent candlelight memorial also appeared online. Deliveries had been taking place by the bots since 2017 but were suspended following the fire. Since then, software has been updated to more closely monitor the battery state and the fleet is back in service. (17) MOCKERY. This is the kind of promo I’d expect from JDA or Richard Paolinelli, except you’d have to take their books, too: “Popeyes is launching ‘Emotional Support Chicken’ for stressed travelers craving fried chicken”. On Tuesday, the chicken chain announced that it is selling three-piece chicken-tenders meals packaged in “Emotional Support Chicken” carriers at Philadelphia International Airport. 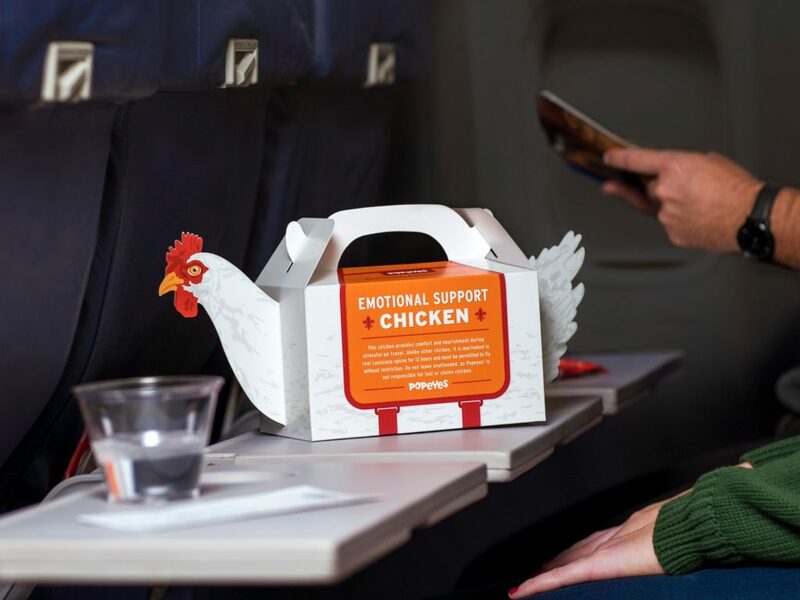 The special chicken will be available as supplies last starting Tuesday at the Popeyes location in Terminal C.
Emotional-support animals have been making headlines recently, as passengers have pushed for the ability to bring increasingly bizarre companions on flights. The number of emotional-support animals traveling aboard commercial flights has jumped 74% from 481,000 in 2016 to 751,000 in 2017, according to trade group Airlines for America. In January, a woman tried to bring an emotional-support peacock on a United Airlines flight. And, in February, another woman said Spirit Airlines told her to flush her emotional-support hamster down the toilet. (18) NICE TRY. Somehow the trash in the Pacific is moving faster than the catcher: “Creator Of Floating Garbage-Collector Struggling To Capture Plastic In Pacific”. Slat’s system, a 10-foot skirt attached beneath an unmoored, 2000-foot-long plastic tube, takes advantage of the wind and waves to move through the Pacific Ocean. The system aims to collect plastic from the water’s surface, which would then be picked up every few months by a support vessel and transported back to land for recycling. The garbage trap uses solar-powered lights, cameras, sensors and satellite antennas to communicate its position to Slat’s team and passerby vessels. (19) MAYBE TOMORROW. “SpaceX And Blue Origin Scrub Rocket Launches, Dashing Hopes Of A 4-Launch Day” – NPR has the story. Artificial intelligence bots. 3-D printed human organs. Genomic sequencing. These might seem to be natural topics of interest in a country determined to be the world’s leader in science and technology. But in China, where censors are known to take a heavy hand, several artworks that look closely at these breakthroughs have been deemed taboo by local cultural officials. The works, which raise questions about the social and ethical implications of artificial intelligence and biotechnology, were abruptly pulled last weekend from the coming Guangzhou Triennial on the orders of cultural authorities in the southern Chinese province of Guangdong. The artists, from Europe, Australia and the United States, were not given an official reason why their works were rejected for the show, which opens on Dec. 21 at the Guangdong Museum of Art. The pieces did not touch on the Tiananmen democracy crackdown of 1989, independence for Taiwan or Tibet or the private wealth of Chinese Communist Party leaders —topics that are widely known to be off-limits for public discussion in China. As a result, some of the show’s curators and the affected artists havebeen left guessing as to why the works were banned. Their conclusion? The works were perhaps too timely, too relevant and therefore too discomforting for Chinese officials. …The other banned works include “The Modular Body,” an online science fiction story about using human cells and artificial organs to create a living organism. Created by a Dutch artist, Floris Kaayk, the work is intended to raise questions about the potential for 3-D printing of human organs, about extending life with the help of technology and about the desire to design life from scratch. Say goodbye to Sphero’s cute BB-8 robot. In fact, say goodbye to all the company’s licensed products, including R2-D2, BB-9E and Cars’ Lighting McQueen. According to The Verge, Sphero plans to sell its remaining inventory of licensed toys, but it will no longer manufacture more once it runs out. Indeed, the products’ listings on Sphero’s website says “This is a legacy product and no longer in production.” The company isn’t just discontinuing the models, though: It’s ending its licensing partnerships completely, because it’s no longer worth dedicating resources for their production. Sphero chief Paul Berberian explained that while the toys sold well when their tie-in movies were released, fewer and fewer people purchased them as the years went by. “When you launch a toy, your first year’s your biggest. Your second year’s way smaller, and your third year gets really tiny,” he said…. (22) ALL YOU HAD TO DO IS ASK. Rocco the parrot apparently knows how to get what he wants (BGR Media: “An intelligent parrot used Alexa to play music and order food from Amazon”). An African grey parrot has made headlines recently for inadvertently making orders via his owner’s Amazon Echo. Originally reported via The Times of London [paywall], the parrot — whose name is Rocco — would mindlessly activate Alexa and have the virtual assistant tell jokes and play music. Rocco even tried to order a few items from Amazon, but the owner wisely had set up controls to prevent unauthorized purchases. What makes the somewhat lighthearted story even more amusing is that Rocco previously had a stint living at the UK’s National Animal Welfare Trust (NAWT) but was kicked out — yes, kicked out — because he was swearing too much. As the old adage says, truth is stranger than fiction. Rocco was subsequently placed under the care of a NAWT employee named Marion Wischnewski whereupon he quickly started activating Alexa.